On the 13th of August 2012, I posted a blog on “Plaisir d’amour,” sung by Marian Anderson: “Plaisir d’amour,” sung by Kathleen Battle. New information surfaced when I wrote about “Le Roi a fait battre tambour.” As a result we need an update. Marian Anderson’s rendition of Plaisir d’amour remains delightful, but it is different. As for the date given by above, 1785, it may be the date “Plaisir d’amour” was first performed, but it may be safer to write c. 1785. According to my earlier post, the lyrics, or poem, were written in 1780, now c. 1780, by Jean-Pierre Claris de Florian. 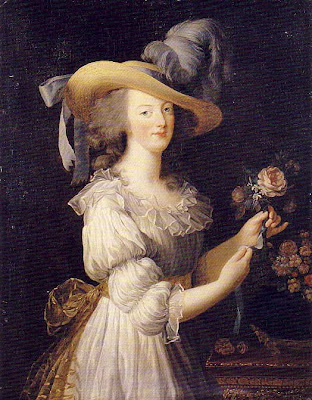 But the lyrics were not set to music until 1784 or c. 1784, by Jean Paul Égide Martini. Composer Jean Paul Égide Martini, also known as Martini Il Tedesco, was born in Freystadt, Bavaria and his birth-name is Johann Paul Aegidius Schwarzendorf (31 August 1741 – 10 February 1816). Martini changed his name when he arrived in France. Martini Il Tedesco or Il Tedesco Martini would mean the German Martini. However, what I should underline is the current revival of Baroque music and ancient music, interpreted using the instruments of that era in music, the seventeenth century or 1600 to 1730/50. Eras in music overlap and going from era to era does not necessarily mean progress. The same is true of eras in the fine arts. The leader in the revival of Baroque or early music is Jordi Savall i Bernadet (born January 14, 1942, in Igualada, Spain), known as Jordi Savall. I became aware of his effort when I saw Alain Corneau‘s Tous les matins du monde. [ii] a 1991 film about composers Sainte-Colombe and Marin Marais, 17th-century French musicians. The music Savall adapted and performed for Alain Corneau‘s film earned him a César (a French Oscar) from the French film industry in 1992 and the soundtrack to this film sold more than a million copies worldwide (Wikipedia). There is a song entitled Sur tous les chemins du monde. Poème Harmonique’s Vincent Dumestre is also engaged in a revival, but he seems to be focussing on songs. He is recording old songs as they were performed when they were composed. It is in this respect that Claire Lefilliâtre‘s rendition differs from Marian Anderson’s and vice versa. Elle me quitte pour prendre un autre amant. I left everything for the ungrateful Sylvia. Je t’aimerai”, me répétait Sylvie. I will love you,” Sylvia said repeatedly. [i] translation: Every Morning in the World. Reading through various posts, I learned that two women attending the Republican National Convention, in Tampa, Florida, had thrown nuts at an African-American CNN camerawoman shouting “this is how we feed animals.” For details, see CNN Camerawoman Hit With Nuts (EnStarz). Needless to say, I quickly reworded the headline so it would read CNN camerawoman Hit by Nuts,” using nuts in its pejorative acceptation. Folias in music are lighthearted, but throwing nuts at a coloured camerawoman and calling her an animal shows genuine folie, madness, not to mention sufficient bigotry to sink a battleship. Oliver Wendell Holmes, Sr. (29 August 1809 – 7 October 1894) stated that “[t]he mind of a bigot is like the pupil of the eye; the more light you pour upon it, the more it will contract.” That definition would apply to the nut-throwing incident that took place in Tampa. The bottom line here is that we are witnessing bigotry and racism. As I continued reading your posts, I learned that a woman would not be permitted to vote because she could not produce the photo ID (identification) Florida (R) and perhaps other states are now requiring of voters. Does exercising one’s right to vote require of voters that they possess a driver’s license or a passport? Some persons are too poor to own a car and therefore do not have a driver’s licence. Moreover, some persons are also too poor to travel. Consequently, they do not have a passport. 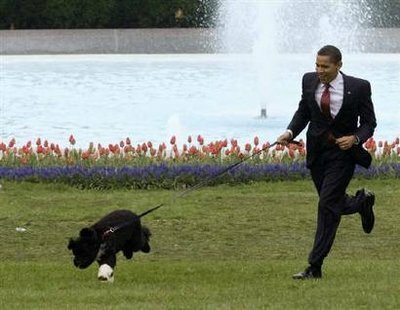 Demanding a photo ID therefore seems an unreasonable request and voter suppression could prevent President Obama from being re-elected, which would be a catastrophe. This second incident, the photo ID (identification) incident, demonstrates that Voter Suppression is not only unreasonable but that it constitutes a discrimatory practice that could keep away from Election Polls the elderly, the disabled, the poor and persons, in particular coloured individuals, who may feel their social status does not allow them to exercise their right to choose a leader, a misconception voter suppression is bringing to the fore. These people were slaves and two idiots threw nuts at them calling them animals. In fact, Voter Suppression may well be in direct violation of the Voting Rights Act of 1965 “a landmark piece of national legislation in the United States that outlawed discriminatory voting practices that had been responsible for the widespread disenfranchisement of African Americans in the U.S.” (Voting Rights Act of 1965, Wikipedia) Voting is an unalienable right in the United States of America. But enough is enough. 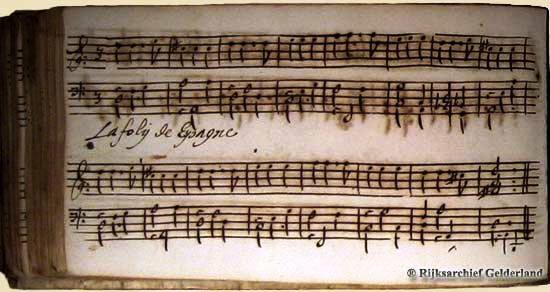 Let us hear a Folia that is not madness: folie. 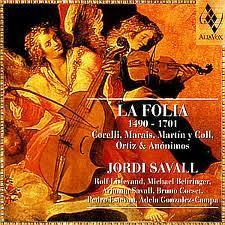 The Folia moved beyond Spain, so we will listen to a Folia Variations composed by Arcangelo Corelli (17 February 1653 – 8 January 1713), an Italian violinist and composer of the Baroque era. [i] Our main performer is Russian violinist Nathan Millstein (13 January 1904 – 21 December 1992). Wikipedia: Anne de Joyeuse (1561-87) married Marguerite de Vaudémont on the 24th of September 1581. The painting is not identified other than as a work of the French school 1581-1582. It is housed in Le Louvre. Anne was and may still be, albeit rarely, both a masculine and feminine name. There is a great deal of unnecessary confusion regarding the word “Classical” in music, but the matter can be simplified. Broadly speaking, the eras of music listed below are called collectively “Classical music.” In other words, for practical reasons, music composed during these periods can be called Classical, whether or not it is music of the Classical period. *the word “baroque” is used to describe an odd-shaped pearl. Strictly speaking, Classical music is music composed between 1730 and 1820. The three main figures associated with the Classical period are Joseph Haydn (31 March 1732 – 31 May 1809), Wolfgang Amadeus Mozart (27 January 1756 – 5 December 1791), and Ludwig van Beethoven (baptized 17 December 1770 – 26 March 1827). But Beethoven is also considered a composer of the Romantic era, early Romanticism. So there is overlapping between periods. To obtain the names of musicians associated with Classical music, simply click on Classical period. Louis XIII (27 September 1601 – 14 May 1643), King of France from 1610, when his father Henri IV was assassinated, until his death in 1643, was very fond of music and therefore composed lovely pieces. Contrary to Frederick the Great (Friedrich II) of Prussia, Louis XIII never truly reigned. Louis’s life therefore allowed him to indulge his interests, such as music. However, during that period, France was nevertheless governed. Marie de’ Medici, Henri IV’s widow did rule for a short period, but France was soon governed by Armand Jean du Plessis, cardinal-duc de Richelieu et de Fronsac (9 September 1585–1642), le Cardinal Richelieu. Le Cardinal Richelieu also governed New France. After Richelieu’s death, France’s Prime Minister was Jules Mazarin (1602–1661), born Giulio Raimondo Mazzarino and trained by le Cardinal Richelieu. In other words, from the late 1610s until 1661, France was governed first by Henri IV’s widow, Marie de’ Medici, who was not up to the task. As a result, Prime Ministers started to govern, the first of whom was Richelieu. They may be called éminences grises, except that they were too visible to be referred to as “grey.” The better term would be that of Prime Minister. For instance, le Père Joseph (Father Joseph), the man behind le Cardinal Richelieu, was a genuine éminence grise. When his father died, Louis XIV of France would not tolerate ministers. He was an advocate of the divine right of kings. He reigned between 1661 and 1715. Absolutism was achieved when the Edict of Nantes, an Edict of tolerance issued on 13 April 1598, was revoked in October 1685, by Louis XIV. In 1685, France lost some of its finest citizens: French Calvinist Protestants called Huguenots. But let us listen to Louis XIII the composer. 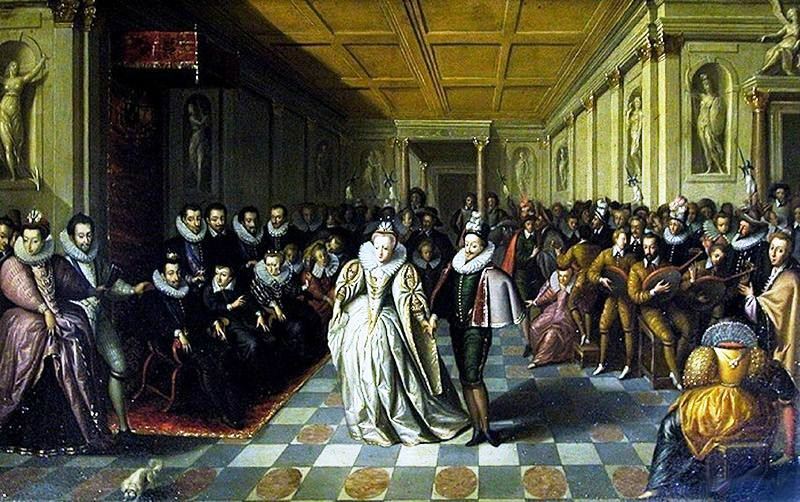 The French ballet de cour, the Masque, became a favourite divertissement in the late sixteenth century. However, it is associated with the reign of both Louis the XIII and Louis XIV. Louis XIII wrote the Ballet de la Merlaison, all of which, i.e. the music, is on YouTube.